To live is to travel and to travel is to live! 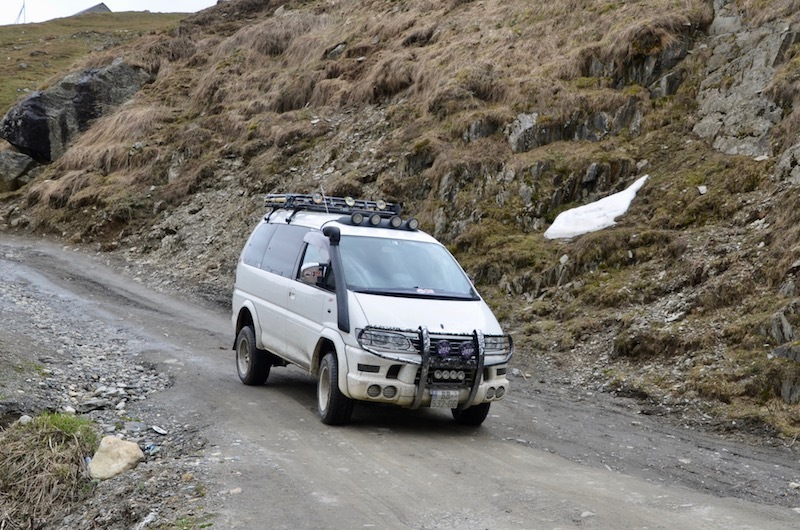 The road to Ushguli has not improved since the last time I was driving it in 2012. A lot had changed in my world during the last 5 years, but this remote mountainous country seems to be immune to the “mega trends” of modernity. Now, once again, our SUV is slowly laboring through 26 kilometers of potholes, occasionally interrupted by small waterfalls and streams, which completely flood the dirt road. 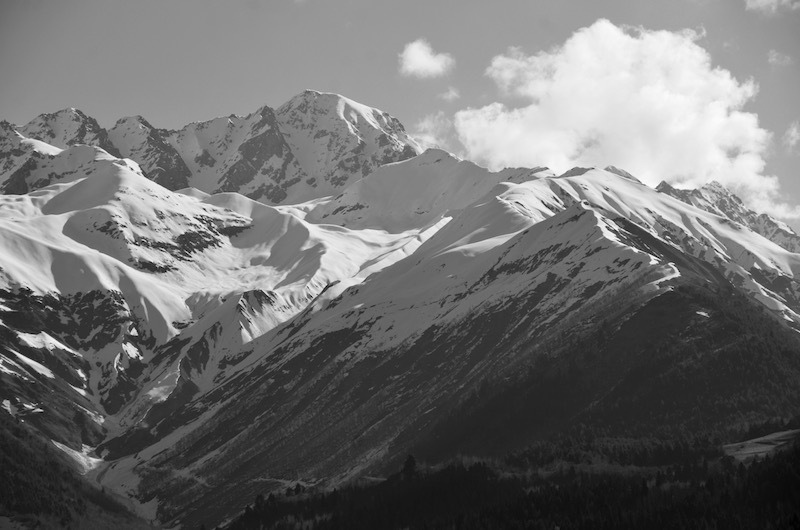 To the left of us is a snow capped mountain and to the right – a 20 meter drop into a canyon. I would never know how this so-called “road” manages to survive harsh winters, spring floods, and the year-round pounding by heavy vehicles. We’re heading to Ushguli, a tiny village in the Caucasus Mountains, located in the north western part of Republic of Georgia. It claims to be the highest continuously populated mountain village in Europe and i don’t doubt that its 75 families are very proud of this honor. Not so long ago it was only possible to reach Ushguli on horses and only in good weather. 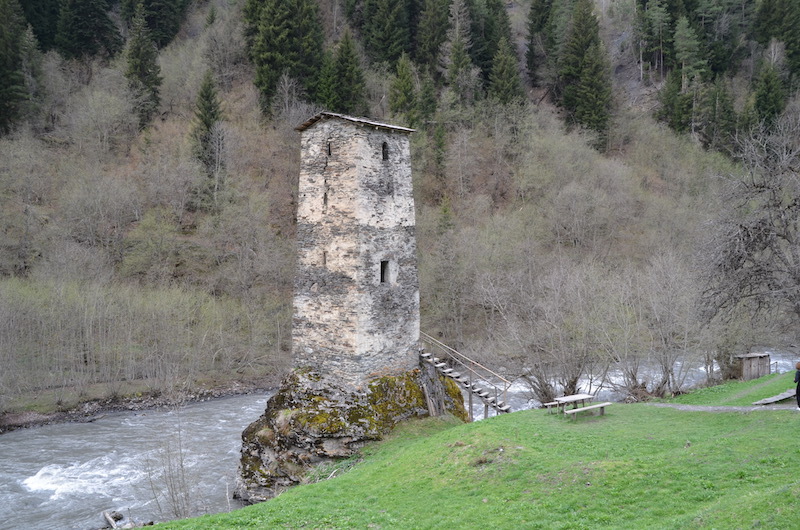 However, the Soviets had bulldozed a dirt road through the mountain passes in the 1970’s and Ushguli was finally connected to the rest of Europe. The burly driver of our 4×4 likes to take his smoke breaks every 20 minutes or so. He steers his Mitsubishi from the right hand side of the vehicle, while entertaining me with his stories about the modern life in Georgia. Good thing that I speak and understand Russian, which is the standard form of communication between Georgians and their neighbors – the former members of the now-defunct Soviet Union. I learn, among other things, that many cars sold in Georgia are the secondhand imports from Japan. These cars have their steering wheels on the right side, which does not exactly comply with the country’s vehicle code, but the price is right and Georgians love driving them. Well, it is time for a smoke break and we pull over next to a fast flowing river, which would satisfy any competition level whitewater rafting. An old man steps out from a wooden shack and approaches our SUV. He shakes hands with the driver and both men kiss each other on the left cheek. “Where are you from?”, the old man turns to me. “I’m from Ukraine”, I answer, ignoring the last forty years of my life spent in California. “Glory to Ukraine!”, the man says and looks at me expectantly. “Glory to the Heroes!”, I reply without hesitation. This is the “secret hand shake” used by those who support the Ukrainian struggle against the Russian-led campaign to suffocate and reverse the pro-Western movement in Ukraine. The old man waits a bit and says: “I’m 80 years old now, but some 60 years ago I was a soldier in the Soviet Army while stationed in Ukraine. I love your people as my brothers and now we have the same enemy. Let’s have a drink together”. He shuffles off to the hut and reappears with a plastic bottle filled with clear liquid. “This is the home-made chacha”, he says, “My son makes it from his own grape in Kakheti (the wine making region in eastern Georgia)”. He fills our plastic cups with the 90 proof “firewater” and we empty them without saying another word. There is no need to explain who the “common enemy” is – we both know that Georgia was nearly overrun by the Russian Army in August of 2008. By some miracle the Russians stopped within 20 km from Tbilisi, the capital city of Georgia, then turned back. I thank the old soldier as he hands me the rest of his bottle, and the “shake-and-bake” drive continues. In a nutshell, this is the story of our visit to Georgia – every encounter with its people leads to handshakes, hugs, drinks, toasts, invitation to visit their homes, etc. Georgians are very happy and proud to welcome a group of foreigners who had criss-crossed their land and enjoyed their food, wine, mountains, and churches. And “enjoying” we did – on this trip we have had the most amazing meals, accompanied by great wine, chacha, music, dancing and singing. The village of Ushguli turns out to be the same as I left it 5 years ago – a tiny monastery standing guard on a hilltop; fortress-like towers – the Georgian version of the “panic rooms”, similar to the ones found in San Gimignano, Tuscany; muddy streets full of puddles from melting snow; a few abandoned houses with the caved-in roofs; cows and pigs roaming around, just as they have done it for centuries. This is a very special place, perhaps, unique in Europe today. Less than 7 miles separate Ushguli from the Russian border. In this sense, it is no different from many towns and villages located in Eastern Ukraine. 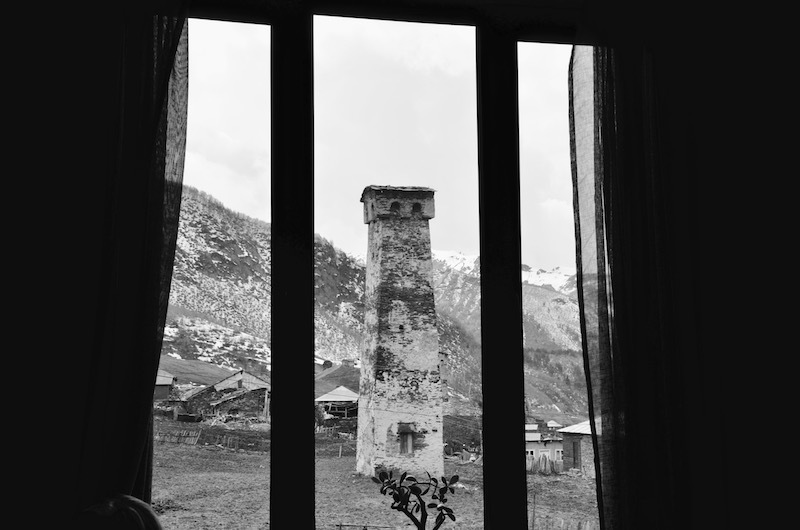 However, there are no roads and no border crossings in this remote and inhospitable part of the Caucasus. Let’s hope that the impassable mountains will keep this part of Georgia safe from the Russian tanks. It was an excellent adventure. This is a wonderful rendition of one of the most unique parts of our trip! Thanks so much for sharing it. It’s even better the second time around! Great summary of our visit to this unique village. Walking through this village that hasn’t changed in many years was one Of the highlights of our trip. One that will be remembered for many years. Special place. Copyright © 2019 LenkaTraveler.com. All rights reserved.